Located near College Misericordia in Dallas Township, PA you can enjoy an ideal suburban area conveniently situated near shopping areas, churches, & public transportation. 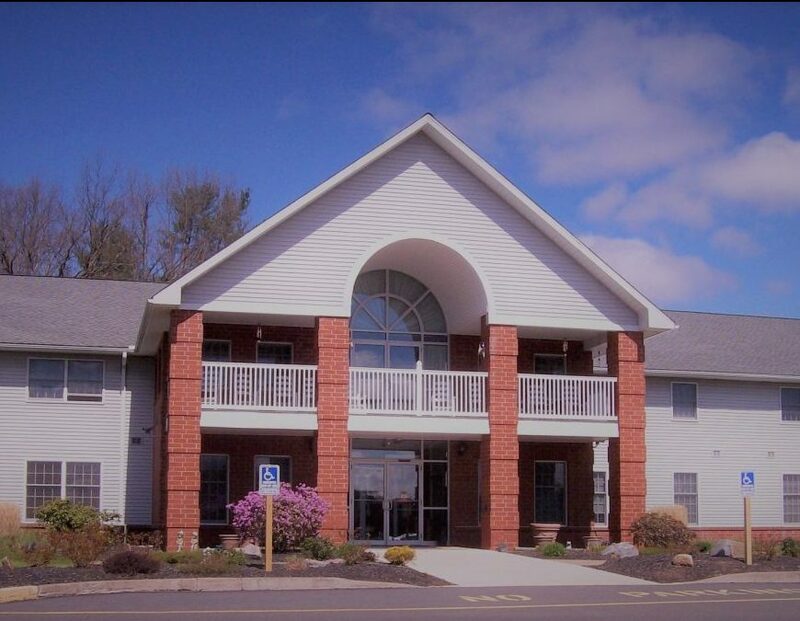 Hi-Meadows Apartments is very low, low and moderate income housing for those 62 years of age or older, handicapped or disabled regardless of age. Rents are based on income and rental assistance is available through the USDA RD. The building contains 36 one bedroom apartments and 4 two-bedroom apartments, with several units able to accommodate handicapped and disabled persons. Our apartments are located in Glen Lyon, Newport Township, Luzerne County Pennsylvania on the site of the former Susquehanna Coal Colliery. The land was donated to EEI by Mr. Ken Pollock Sr. and is conveniently located near shopping areas, churches, & public transportation. The Ken Pollock Apartments is very low, low and moderate income housing for those 62 years of age or older, handicapped or disabled regardless of age. Rents are based on income and rental assistance is available through the USDA RD. The 40 one-bedroom apartment building has several units able to accommodate handicapped and disabled persons. Our apartments are located one block off the Dallas-Harvey’s Lake Highway (Rt. 309) in Kingston Township. Enjoy a serene environment in a residential neighborhood conveniently situated near shopping areas, churches, & public transportation. Trucksville Manor Apartments is very low, low and moderate income housing for those 62 years of age or older, handicapped or disabled regardless of age. Rents are based on income and rental assistance is available through the USDA RD. The building contains 12 one bedroom apartments and 1 two-bedroom apartment, with one unit able to accommodate handicapped and disabled persons. Please inquire for income limits and monthly rentals fees.